Trouble seeing this email? Drink less! Just kidding, click here. 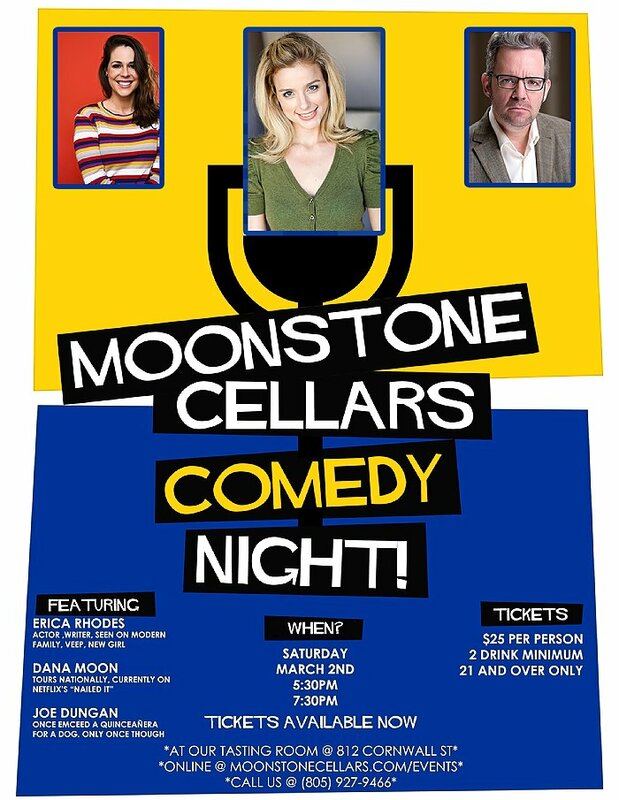 Comedy Night Returns to Moonstone Cellars March 2nd! Join us for another hilarious night of Stand Up Comedy on Saturday, March 2nd at 5:30 and/or 7:30 PM. Purchase online, call, or buy your tickets at the Tasting Room. These are selling quickly, so don't say we didn't warn you! Get your tickets online now before they sell out! Become a Moonstone Cellars Wine Club Member!